Big news for a new year. 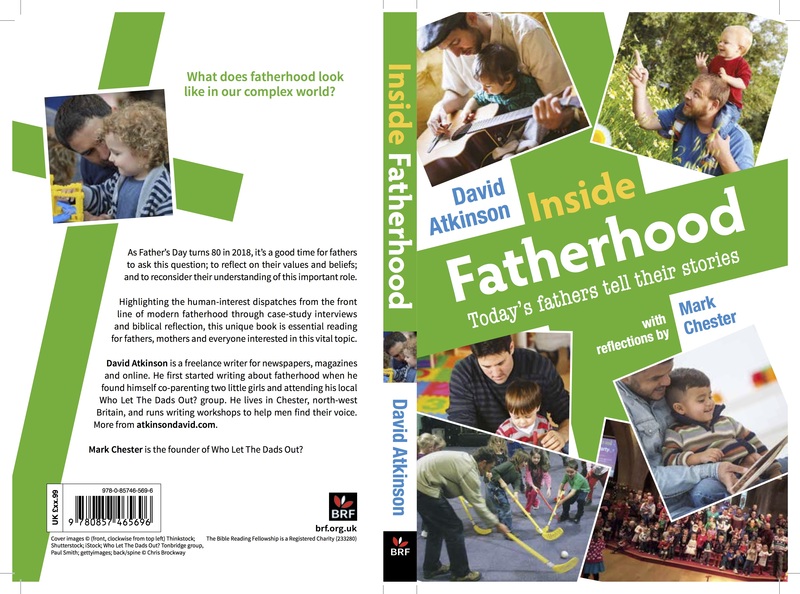 The edit is complete, the cover finalised [see above] and my book, Inside Fatherhood, will be published on March 23. What’s more, you can now now pre-order a copy direct from BRF here. Ten ordinary men talk about their extraordinary experiences of fatherhood and how it transformed their lives. It offers a snapshot of life for modern dads in the year that Father’s Day turns 80 — and some advice for the next 80 years. “The whole way we think about fathers has changed — from the distant Victorian dad to the hands-on, multi-tasking, nappy-changing, work-life-balance-juggling dad of today. Our gender role as men has changed, too, from hunter-gatherers to nurturing bedrocks of emotional support. Watch this space over the next couple of months for updates about launch events and how you can get involved in telling your own story. Read a review here from amble. Liked this? Try also Inside fatherhood drafts: how Scott turned his life around.